Polish Bandage - Sealed | BUDK.com - Knives & Swords At The Lowest Prices! This is a brand new, canvas sealed Polish Bandage that is a must-have for your camping, hiking or bug-out gear! 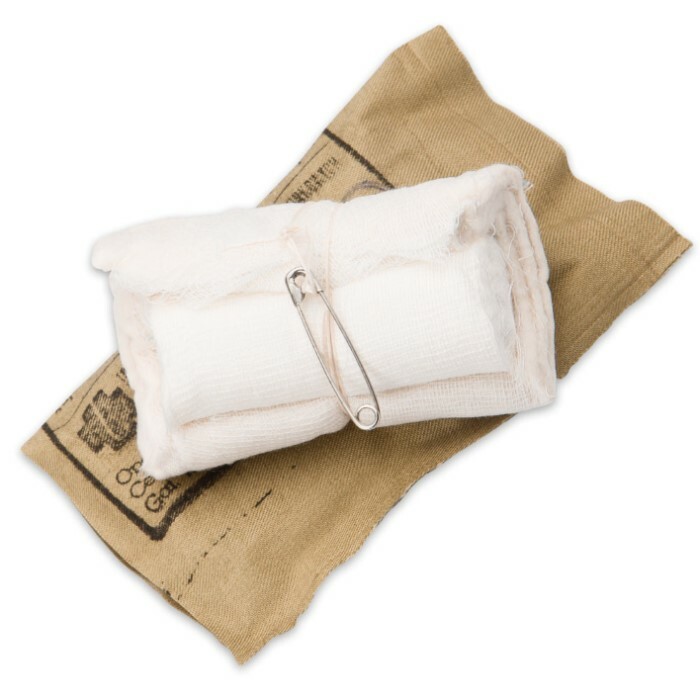 Used as a combat trauma dressing, you can count on a Polish Bandage because the effectiveness has been truly tested in battle. 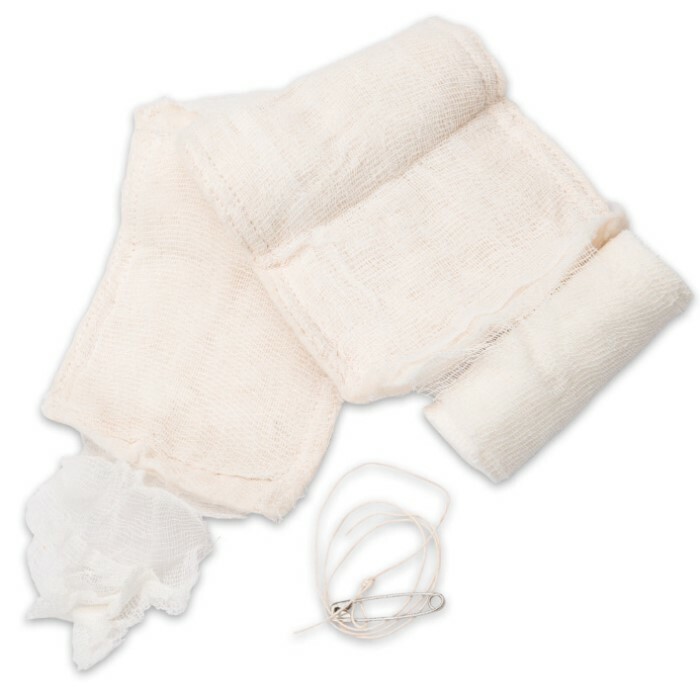 It features two 3 1/2” x 4 3/4” thick cotton pads attached to a roll of cotton gauze. 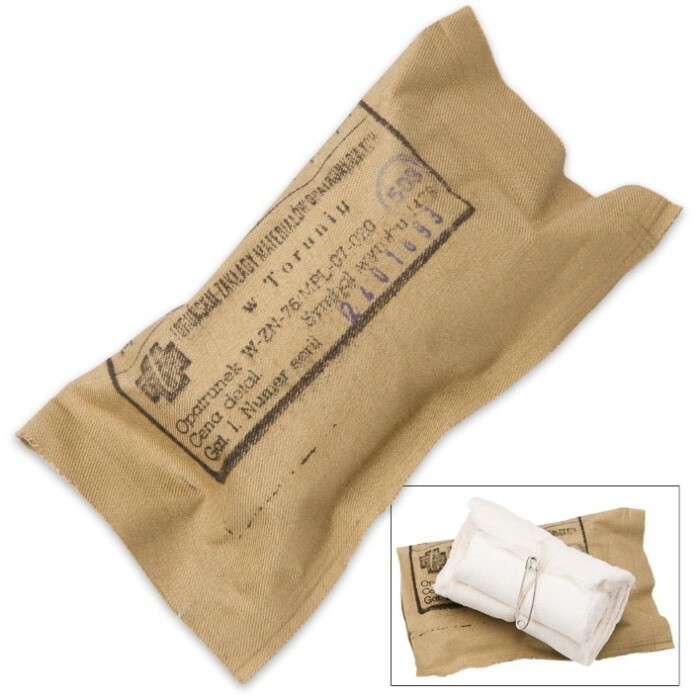 When faced with an emergency medical situation, you don’t want to rely on just a bandana. Make sure you have what you need in your gear.